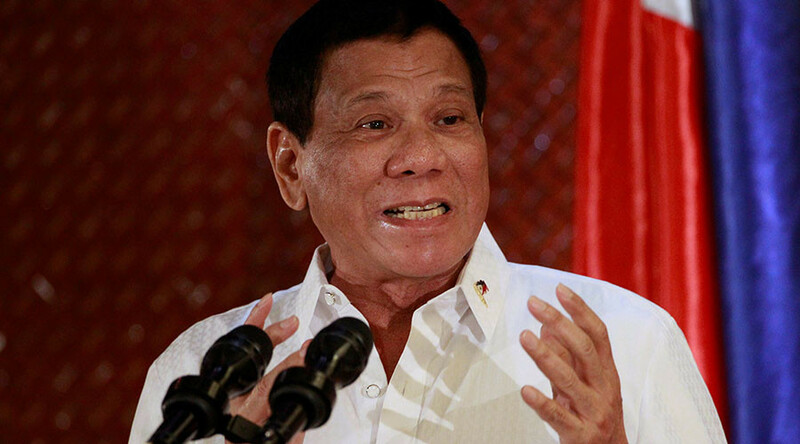 Philippines President Rodrigo Duterte has unleashed his colorfully-worded wrath on the Catholic Church again, saying the organization is corrupt, “full of sh*t,” and accusing priests of sexual abuse. 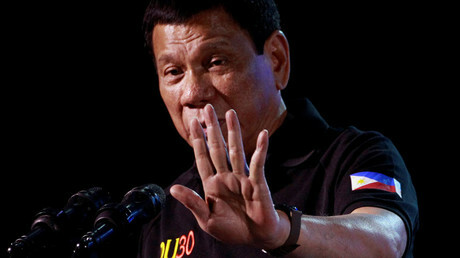 Duterte on Tuesday accused the Church and its bishops and priests of corruption, womanizing and said he was abused by a priest as a student of Ateneo de Davao University. He also said three Cabinet secretaries had been molested. Speaking to the families of Special Action Forces who died in Mamasapano in 2015, Duterte advised the crowd to read "Altar of Secrets" by Aries Rufo to discover the truth about church officials, saying he would resign if its allegations were untrue. He added he might pen his own book about the Church, entitled "Hypocrisy." “Son of a b*tch, the jerks accepted it,” he added. It wasn’t all hate, however, Duterte pointed out that he and the Church have something in common: womanizing. He told the audience that Bishop Teodoro Bacani had two wives, like him. During his speech, the president also made time to defend his harsh war on drugs, which has been marred with allegations of extrajudicial killings. Church officials are among those who have criticized the populist president for his stance, with Bishop Broderick Pabillo recently urging the Church to speak out against the more than 6,000 drug killings carried out under Duterte. He also reminded the crowd that he won the election despite the Church’s warnings against him.